Everyone has an off day and things happen, items get forgotten and small hiccoughs occur in the smooth running of things. Everytime I witness one of these moments, I use it to improve the service I offer. 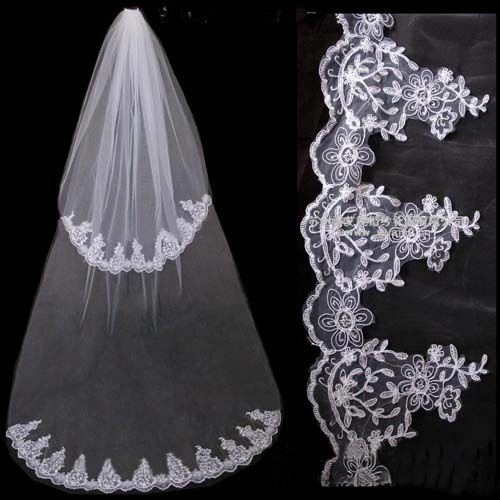 As an example ~ one of my brides had left her veil in her hotel room and there was no time for anyone to retrieve it. Enter Mary Poppins Bag. In it I keep many wedding items, and amongst these items are a few veils. They may not have been the original, or just the one you wanted, but when you have left yours behind it’s the most beautiful one around. I’m going to post pics of the items in question. Just for fun. Apologies for the quality of the pics. Two Tier with embroidered edging.